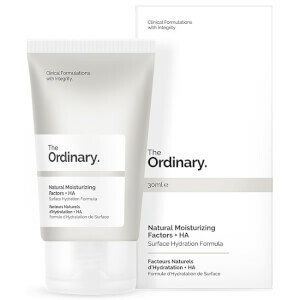 Improve and brighten the look of your skin with The Ordinary's Vitamin C Suspension 23% + HA Spheres, a water-free and silicone-free stable suspension of Vitamin C and Hyaluronic Acid. 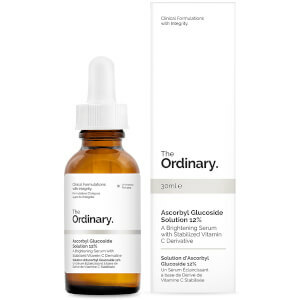 Formulated with 23% of pure Vitamin C (L-Ascorbic Acid, which remains completely stable due to the absence of water), the formula helps to reverse signs of ageing whilst boosting natural radiance. Its dose of dehydrated spheres of Hyaluronic Acid plump skin with moisture and promote smoother, younger-looking skin. Ideally applied at night-time. Apply a small amount to face in the AM or the PM. A slight tingling sensation can be expected after application. While this is grainy in texture and stings a little as others say, this stuff really works! My skin is smoother and seems to have better texture. I think it also helps with break outs as I haven’t had any. This is important as I have had to deal with acne since adolescence and still do into my 40’s!